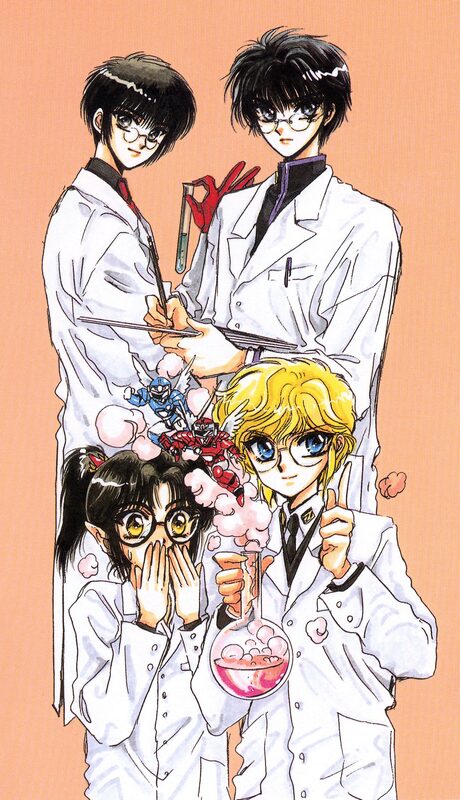 Featuring characters from Tokyo Babylon, X, RG Veda, Duklyon Campus Defenders, and Clamp School Detectives. I apologize if I seem like I'm spamming you, but as I am gradually working my way through your multitude of scans, I tend to feel the need to comment. i *love* this picture, not the least because it's a cross-over, but because Subaru and Kamui are in it! Kamui looks so much older here, which is odd, but cute. ^^ +favourites, how could I not? thanks for sharing with us this amazing Scan!!!! I have to buy this artbook!! thanks so much.Your scans are really awesome! Hahaha......look at those Dukylon duo! The result of the chemical reaction.... Duklyon! This picture is funny. Nice scan!